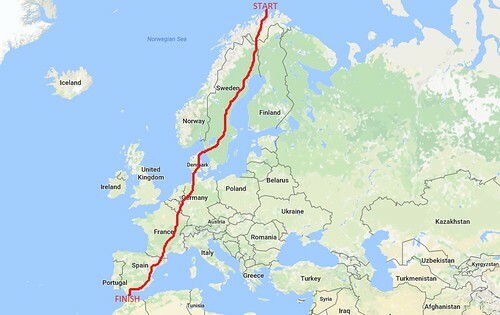 Riding from the north of Europe to the south sounds like a crazy idea. 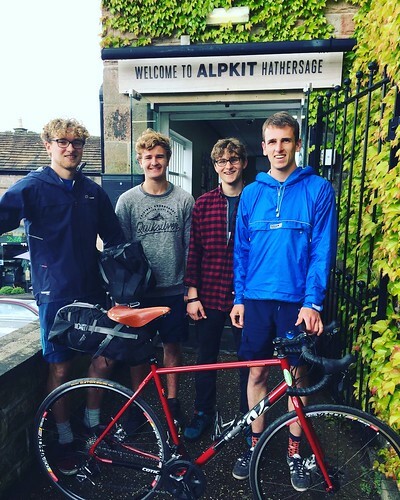 It's a challenge that Alec Bain and three of his friends are hoping to complete this summer. From Nordkapp in the north of Norway to Tarifa, the south of Spain. "The idea for this trip can solely be blamed on a conversation over social media between the four of us that got way out of hand. The only reason we aren’t cycling our bikes backwards across the Atlantic is due to the conversation coming to an abrupt end as each of us dropped our phones and began eagerly writing a kit list. So off we went with the idea of cycling the length of Europe, in the hope that it might be a good laugh and a great experience. It was quite the surprise when we later googled exactly how far it was." The trip is 3600 miles, passing through 8 countries. They plan to finish within 5/6 weeks. Alec is doing the trip on his Cotic Escapade. They are all fans of Cotics, 3 own a BFe275 already, all having been on one of our demo days with Sam. They are completing it for Hospiscare and St Michael's Hospice in Devon. You can donate to their Just Giving page here to show your support. Expect more photos from these guys over the coming weeks! Good luck guys!